Never heard of lash shedding? Wondering what it is, what happens and why during certain seasons? 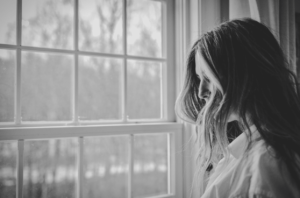 Good news—you’re not alone! Since spring has officially sprung, we’re sharing why you might be more likely to find a stray lash here and there this season. Whether you have lash extensions or not, we all experience lash shedding. Remember when you were young and noticed a single lash hair on your cheek and then you would make a wish? Yes, that was lash shedding in action! This natural occurrence happens to everyone. Our lashes fall out in cycles, completely replenishing approximately every 60–90 days. But don’t be alarmed! This is a healthy part of our hair-growth routine. In fact, on average, we lose up to 20% of our natural lashes every two weeks; depending on our own individual hair-growth cycles, a person can shed between 1 and 5 natural eyelashes a day. A new eyelash has already been growing to replace the lash that falls out and for most of us, we don’t even notice! While we experience lash shedding year-round, many of us notice that our lashes shed more during certain seasons, like in the spring. Why does this happen and why during this time of year? It’s really quite simple. During the spring season, our bodies start preparing for warmer temps and warmer weather. It’s during this natural process that our body will increase oil production to help keep not only our hair, but also our skin from getting dehydrated. So, it is common for all of us to experience additional shedding with not just our hair, but also our lashes. There’s not much you can do to prevent lash shedding, since it is after all a natural process. But something to keep in mind is that when your natural lashes shed, your extensions shed with them. But as long as you keep up with your regular lash refill appointments every 2–3 weeks, your lash line will stay full and gorgeous just how you like it! Another key thing to remember when experiencing the lash shedding cycle is to keep your lash extensions clean. Since spring is a big time for allergies, this can cause additional buildup to increase on and around your lash line. Use a lash extension-safe cleanser to keep them squeaky clean. It’s always a good idea to brush your lashes each day with a clean lash wand, too. All in all, this is a natural process and no cause for alarm—we promise! Just as certain animals shed their winter coats, so do us humans, just in a different way. If you do have lash extensions and ever have a concern about how many lashes you are shedding, chat with your lash stylist. 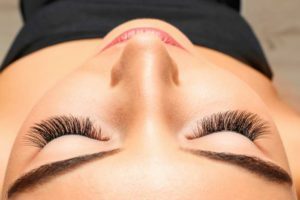 After all, they are the experts when it comes to all things lashes and they are there to put your mind at ease and offer tips every step of the way!